The associate director for Equity and Minority Health ensures the integrity of community engagement and service activities, assures that documents produced by the Office of Equity and Minority Health receive appropriate faculty/senior leadership input and conducts all program evaluations. In addition, the associate director represents the Lurie Cancer Center at sponsored teleconferences, meetings and committees and recommends policies, procedures and programming as needed. Both the administrative and associate director oversee the integration of information from cancer health disparities data and evaluation efforts into program implementation activities. Alexis Thompson, MD, MPH, is the Medical and Scientific Director of Hematology at the Ann & Robert H. Lurie Children's Hospital of Chicago and associate professor of Pediatrics at the Northwestern University Feinberg School of Medicine. Her clinical interests include hemoglobinopathies, bone marrow failure syndromes and stem cell transplantation in pediatric patients. Her laboratory research is focused on developmentally regulated genes in early hematopoieses. In 2001, Thompson was named the A. Watson and Sarah Armour Endowed Chair for Blood Diseases and Cancer at Lurie Children's. She has served on the Board of Directors for the National Marrow Donor Program and is on the Medical Advisory Board for the Cooley's Anemia Foundation and the Sickle Cell Disease Association of Illinois. 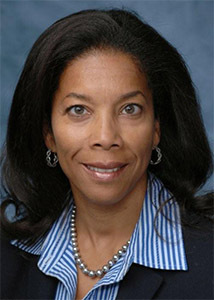 In her current position, Thompson is an investigator on NIH-funded multi-center clinical trials as well as her own institutional clinical studies in thalassemia, sickle cell disease and hemophlia.